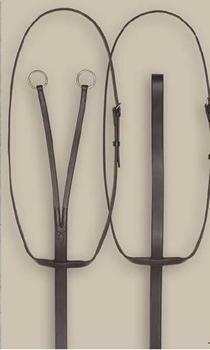 Order top-quality German martingales, standing martingales, and running martingales online in a variety of styles. 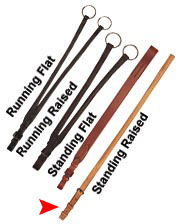 Martingales are all used to help the rider better control a horse that throws its head. 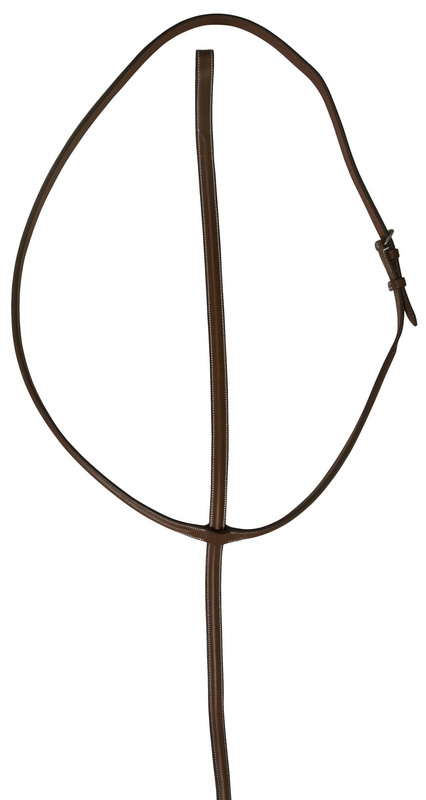 Wide selection of available from top martingale brands including Henri De Rivel, Tory Leather, Ovation, Shires, Silver Fox, Pessoa, Weaver, Walsh, HDR, Collegiate, Kincade, and more. Use the search box if you are looking for a particular style or brand. Correctly styled in famous Camelot quality leather. Cushion Air Comfort Girth. The popular CUSHION-AIR girth is made with soft and comfortable textured polyester that breathes and will not chafe. Stronger than cotton girths and will provide years of riding comfort. 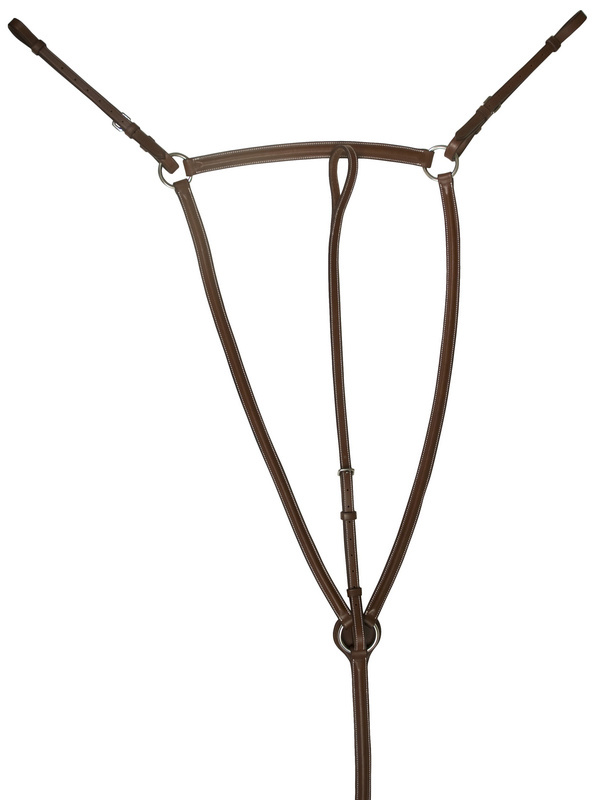 Never-rust elongated girth buckle with one end made with rollers for easy tightening of girth. 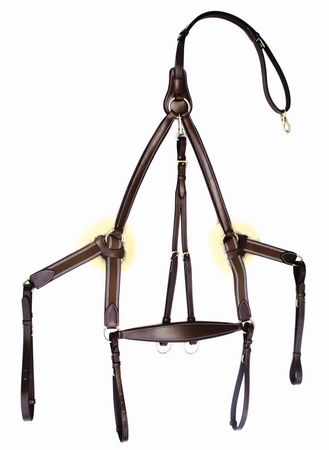 EQUI-BETTE Raised Running Martingale. 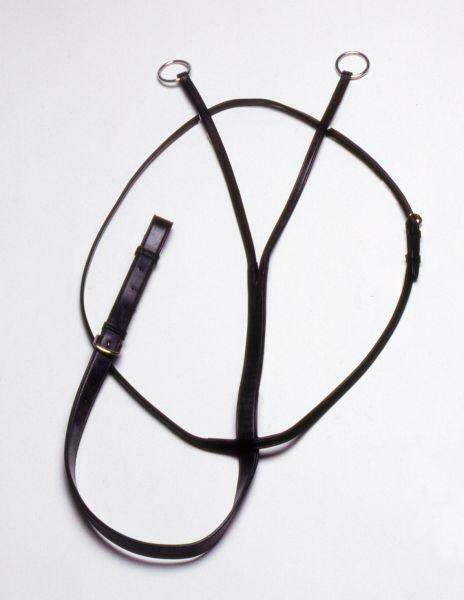 Fine quality English leather raised and half rounded running martingale. Raised body 3/4" wide with 5/8" raised neck strap. All handsewn with hand polished edges. 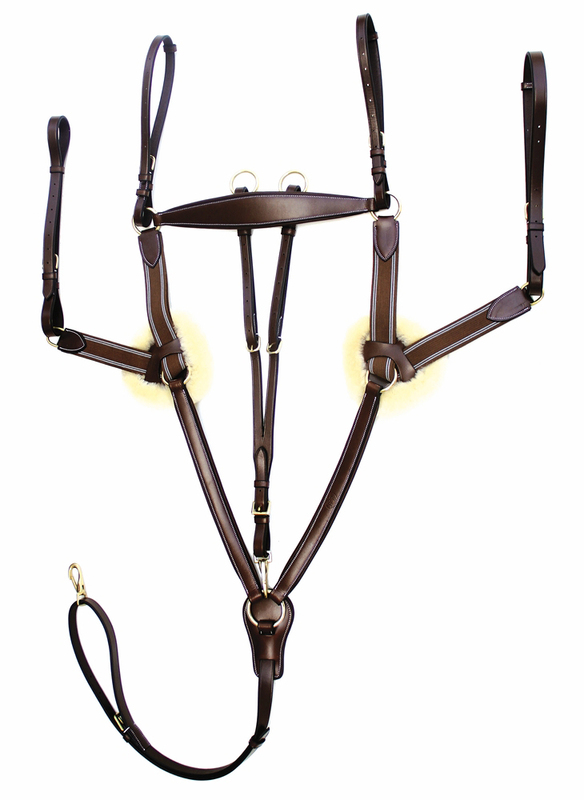 EQUI-BETTE Show Breastcollar. 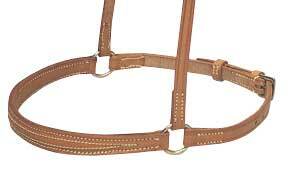 Narrow show breastcollar English leather 7/8" wide with padded baghide leather lining. Neck strap 1/2" wide 1/2" flat center body and billet straps. Keeps saddle forward and in place. Fully adjustable. 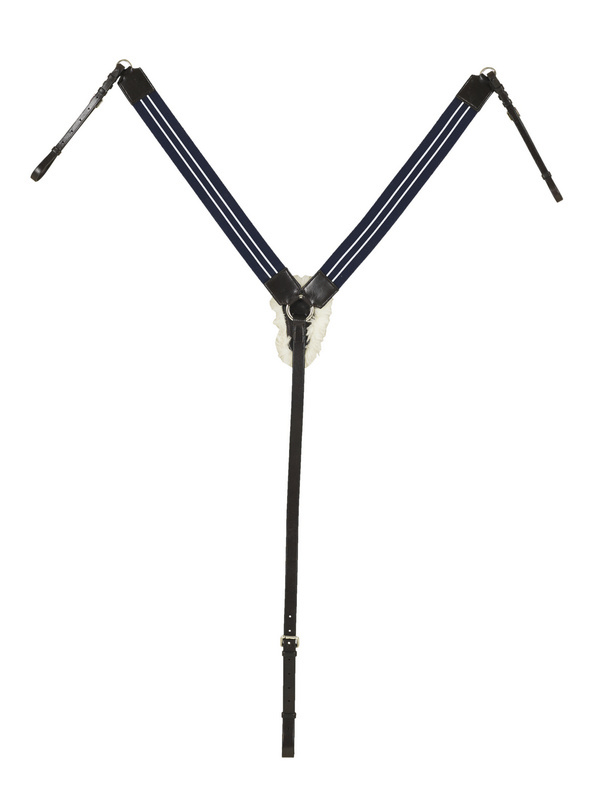 EQUI-BETTE Square Raised Standing Martingale. 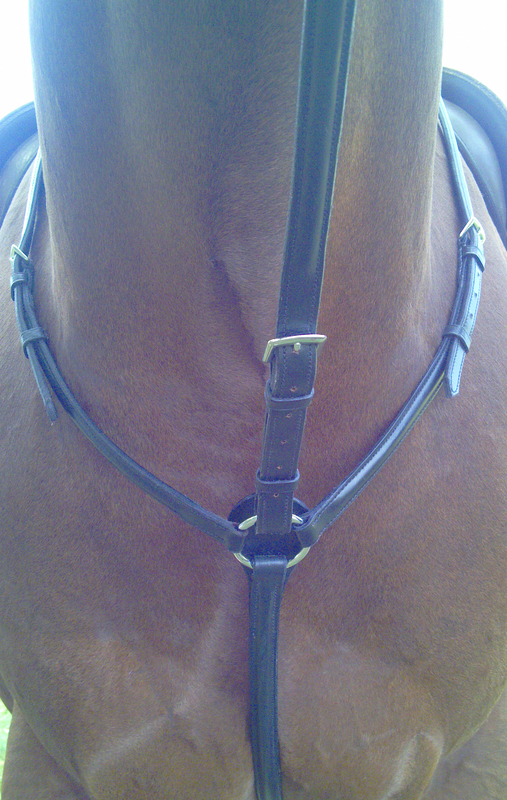 Fine square raised 1/2" neck and 7/8" body standing martingale. Fully adjustable. Excellent quality hand stitching and finished edges. 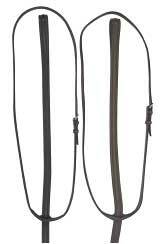 Equi-Prene English Tubular Rubber Girth. The EQUI-PRENE English girth is 4" wide with nylon web center which moves freely within the EQUI-PRENE tube avoiding galls and sores to horse. Closed cell foam body is comfortable for horse, does not absorb moisture and is washable. 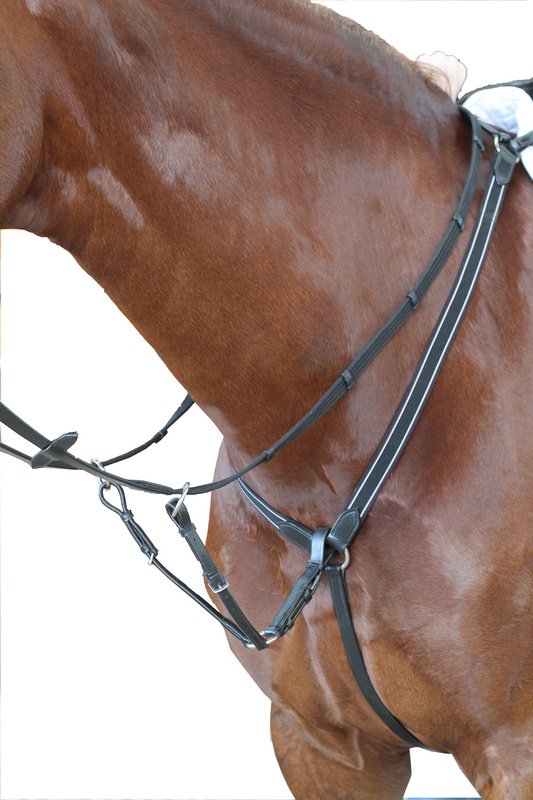 Blenheim quality with continental web reins. GOLD MEDAL Standing Martingale Deluxe English made GOLD MEDAL flat standing martingale 3/4" wide. Completely adjustable. GOLD MEDAL Running Martingale Deluxe English made GOLD MEDAL flat running martingale 1" body. Completely adjustable. 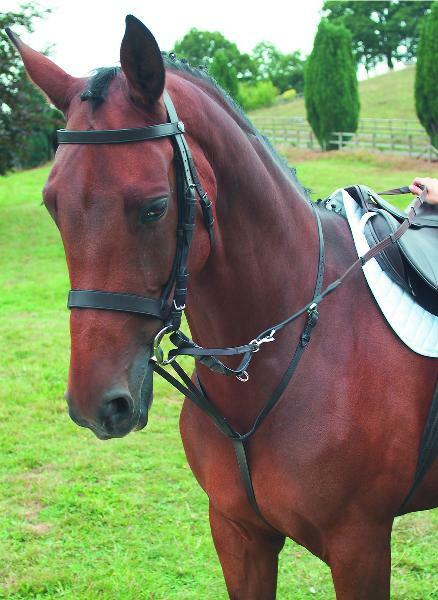 The Kincade Elastic Eventing Breastplate/Martingale keeps the saddle in place without effecting your horse's movement. The best English leather is something special and that is why Northampton uses only English bridle leather from SEDGWICK OF ENGLAND. The hides are carefully selected for strength and then SEDGWICK finishes them by hand with many applications of special fats and waxes that give the leather the most supple and luxurious feel in the world. Supple leather and elastic are crafted together into this beautiful breatplate. Features sheepskin at the chest center for added comfort. Raised Breastplate with running and standing attachment. MANY MORE at HorseLoverZ and State Line Tack.